Forest management plans are the key reference documents for monitoring and assessing forests and forestry practice in Britain. They define and communicate forest and woodland management proposals, set out how sustainable forest management is to be achieved and describe the consequences of management activities over time. 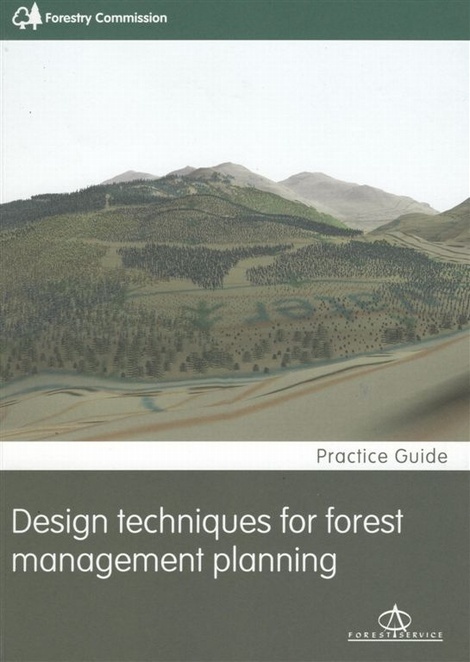 Forest management planning involves assembling and integrating a wide range of information about a site and its potential, and a number of established design techniques are available to assist with this process. This Practice Guide provides step-by-step guidance to the techniques that can be used at each of the seven planning stages. The guidance applies to both the creation of new forests and woodlands and the management of existing forests and woodlands. It is aimed at forest and woodland owners and managers, forestry practitioners and all those involved in forest planning and the preparation of forest management plans. The Guide will also help those evaluating and approving plans and proposals, such as regulatory staff involved in grants and licences, and others with an interest in forestry consultation. The Practice Guide is supported by a number of worked examples that show the development of the forest management planning process for typical landscape types found across the UK. The landscapes in these examples vary in scale and they serve to illustrate appropriate design techniques for different landscape types, as far as the development of the final sketch design. Authors: - Forestry Commission Anon.